Earlier this year we hosted our Second Annual Culver’s FFA Essay Contest, which asked members to write about how they see technology impacting the agricultural industry and their agriculture careers. 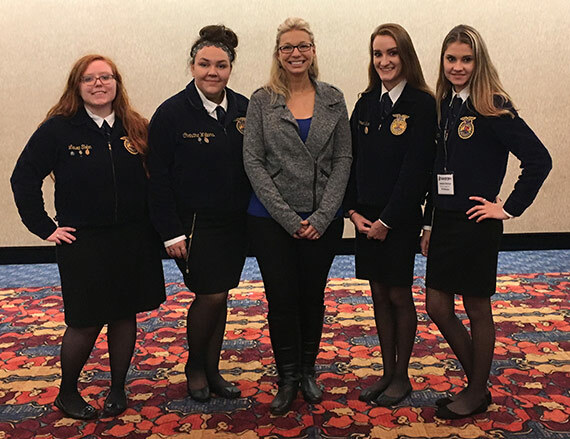 Essay writers competed for a chance to win money for their chapter’s trip to the 2016 National FFA Convention & Expo in Indianapolis, October 19–22. We had a chance to catch up with one of this year’s winners, Hannah S. from the Seven Lakes FFA Chapter in Texas. 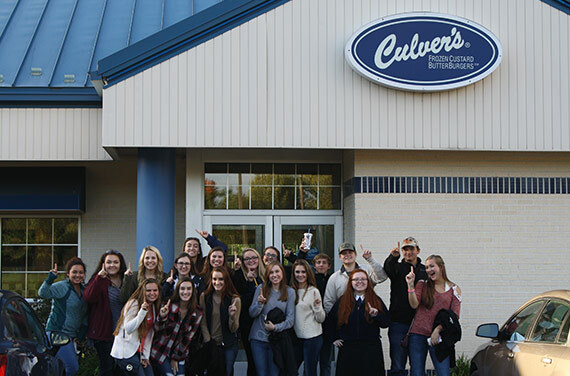 She shared how her $2,500 prize from Culver’s helped 18 members of her chapter make the 1,000-mile journey to Indianapolis. Why did you enter the Culver's FFA Essay Contest? 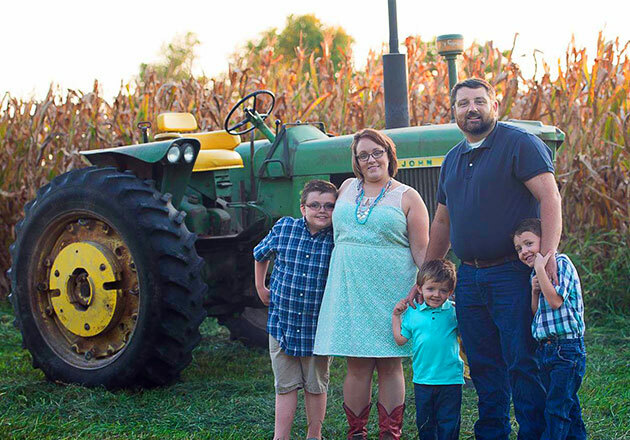 I wanted to help send my Farm Business Management team to the prestigious national contest. After winning state, my three teammates and I earned a spot to attend and compete at the National FFA Convention, and used the funds to help us get there. My team had a great time at the competition and landed in 15th place. My team needed support to help us compete in the prestigious national contest. How did your chapter react when it found out you won money to fund a trip to the National FFA Convention & Expo? My chapter was ecstatic! Winning this contest meant not only my team was able to attend the national convention, but some of our extremely deserving chapter members were able to accompany us on this journey of a lifetime. This prize helped deserving chapter members attend the journey of a lifetime. Tell us about your chapter. The Seven Lakes FFA has 103 chapter members who participate in an array of competitions throughout the National FFA Association. 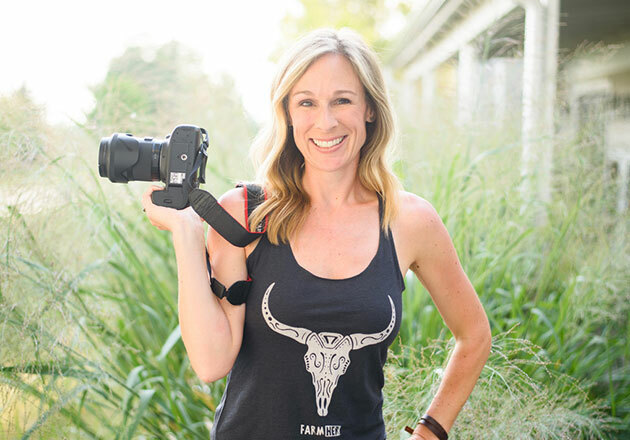 From livestock raising and showing to career and leadership development events, Seven Lakes members compete across the state of Texas, and now across the country. 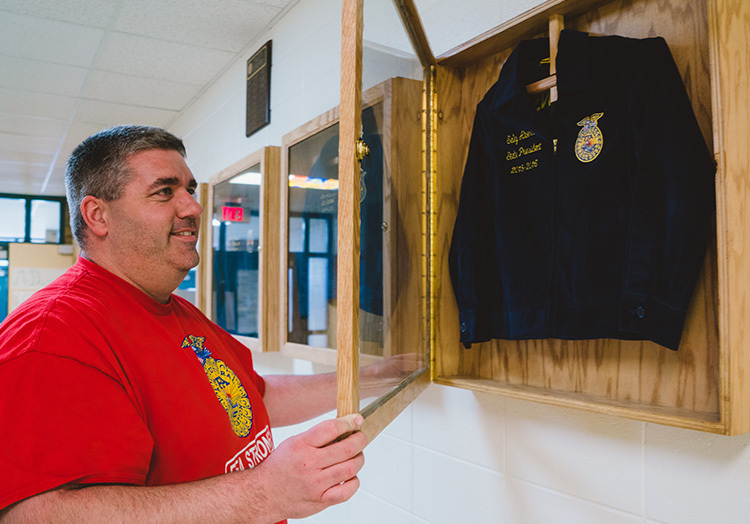 As a chapter, we dedicate hours of community service and participate in many activities to develop the unbreakable bonds that FFA is known for creating. One of our favorite chapter activities is the Ag Olympics, a fun competition against other district chapters with a series of team tasks. How does Culver’s support help you and your chapter grow? Culver’s support for students’ trips to the National Convention gives members the chance to experience an uplifting, leadership-filled atmosphere. The convention is a fun trip for FFA members and it’s an opportunity to allow young adults to expand as independent and motivated leaders and students. 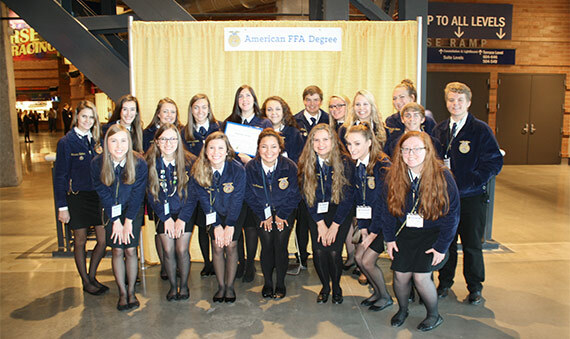 The National FFA Convention helps students become independent and motivated leaders. What are some of the things your chapter did at this year’s National FFA Convention & Expo? We took photos of different moments from our trip. Here are some of my favorites. We met with Jessie Corning from Culver’s to take a photo and talk about our chapter’s experience at the convention. Jessie also told us more about the Thank You Farmers program and how Culver’s supports FFA. Our trip wouldn’t be complete without a stop at Culver’s! Alex A., one of our chapter members, earned an American FFA Degree, which recognizes the highest individual achievement in FFA. 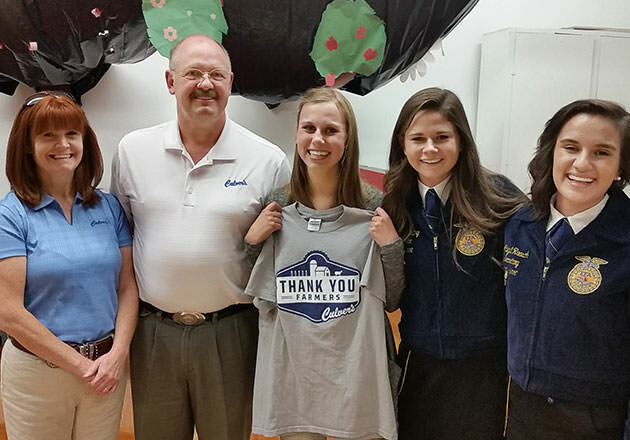 To date, Culver’s Thank You Farmers program has donated nearly $1 million to agricultural organizations like FFA. 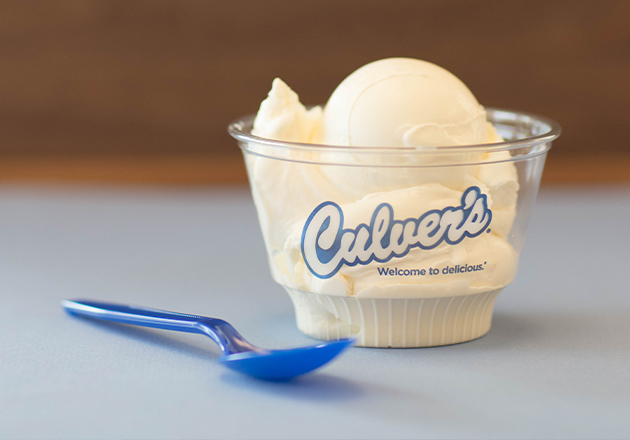 Culver’s will launch the Third Annual FFA Essay Contest next year.